Hi. I've created lots of events over the years, but today it's stopped working. I enter the event details (page with description, hint, etc. ), tick the legal checkbox, then Continue. Both those buttons (three including the "x") are a waste of time, and I eventually end up right here again. Clearing cookies doesn't help, nor does profanity. Somebody with wizard powers, please remove this broken half-draft from my account innards, so I can try again to submit this event. This one has to go in today (bloody deadlines) or it's not happening. Thank you. 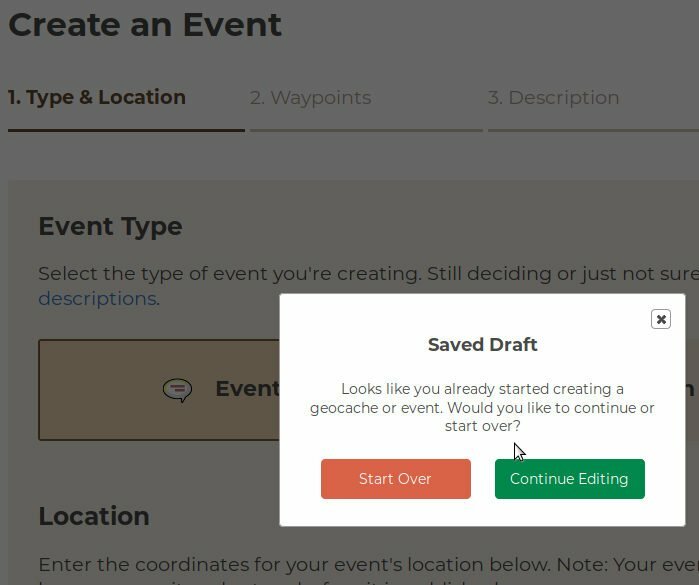 Update: I had to enable ckeditor.com (new?) in NoScript (a Firefox plugin). Now I see an HTML editor instead of a plain text box, and I can indeed get past that screen. You might want to look into the error handling... I can't be the only one using NoScript. But for now, I'm good. Thanks.